According to the U.S. Census Bureau and People for the Ethical Treatment of Animals (PETA), of the 243 million turkeys raised in the U.S. this year, about 45 million of them ended up on our Thanksgiving tables. The American Farm Bureau Federation reports that Americans paid approximately $49.87 on average for a Thanksgiving Day meal for 10 people. 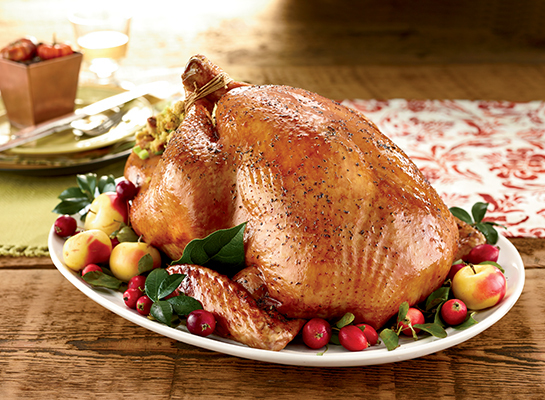 In 2015, the average retail price for turkey was $1.45/pound (up from $.99/pound in 1995). But in a survey about pricing this year, while 29 percent of Americans said that less than $1.50 per pound was a fair price for turkey, nearly the same percent of respondents said they would pay $5 or more per pound. Sounds like more folks are going organic for the holidays! Find organic turkeys at OrganicPrairie.com.